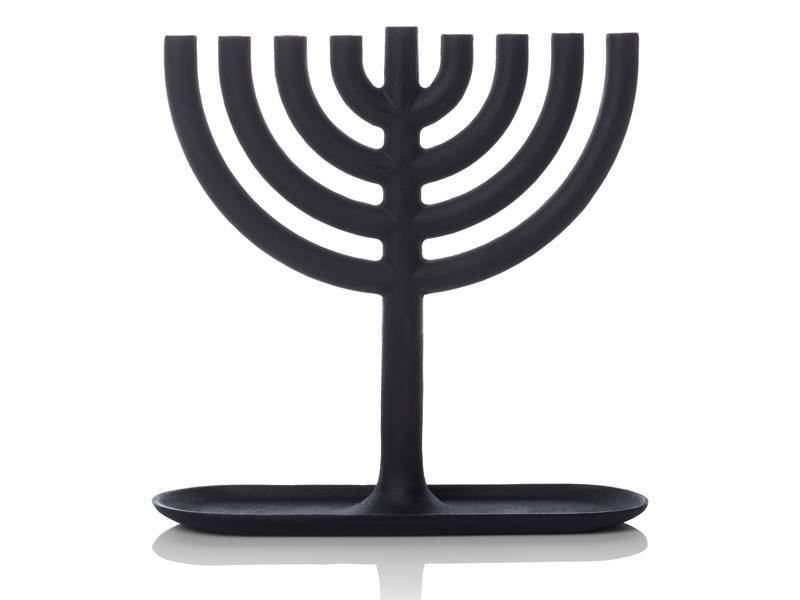 Designed by Josh Owen for Areaware, this new Cast Iron Menorah is sure to brighten up the holiday season. Bold, solid and simple, not to mention ceremonial, this cast iron beauty looks timeless and will last for ages. The black color will acquire a patina from continual use, which means your menorah will look truly unique in time. There’s an integrated tray to catch wax drippings and hold hot matches. Best of all, with its iron heft, there’s a much slimmer chance of this menorah tipping over, creating a safer holiday experience, especially if you have children running about. All photos by Clint Blowers, courtesy Josh Owen LLC. Light up Hanukkah with a cast iron menorah this year. Choose soy candles to cut down on indoor air pollution from your menorah.